Well, it looks like our readers know how to party! We had a wonderful time virtually attending the posh parties and pleasing picnics that you invited us to this week. You have inspired us with your creative party themes, gorgeous favors and invitations, delectable treats, and more. What a fun challenge! Let’s take a look at Kellie’s favorites from the Parties and Picnics Challenge…. #25 Tea Party Dessert Table from Girl. Inspired. About the overall challenge winner, Kellie said, “Everything is beautifully done. All the details, decorations, cakes, desserts, dresses, and those hats–simply gorgeous! I dug a little deeper into her blog and could not believe even the cakes were homemade. Amazing details–some thrifted for decor, but most were handmade. Just WOW! #127 Pancakes & PJ Party from Hi Sugarplum! Congratulations to all of our featured winners! You can get our winners’ buttons for your blogs HERE. Many thanks to Maria Gridley’s Agape Love Boutique for sponsoring this week’s giveaway. We were very happy to spend the week with our guest judge, Kellie, from Nest of Posies. Thanks for party crashing with us, Kellie! Thanks for including mine, girls!!! So flattered…and all the parties were so much fun to see!!! I just LOVED the theme this week – such a great resource for all the future party planning! It is such a thrill to see my tea party make the cut! Thanks for hosting and thanks, Kellie, for judging! Yay! Thank you! I can’t believe I won the pretty Agape Love necklace! I’m so happy. Thanks for the feature! Loved this challenge! Yay! Thanks so much! Making the Top 10 made my day! What a great roundup of parties! 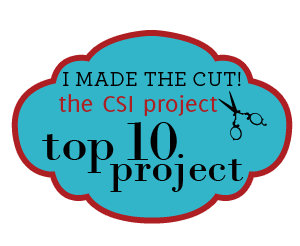 I am so excited to be part of the Top 10! Thank you! yeah! i made the cut 🙂 thanks so much…i loved this week…so many fabulous parties!